I’m going to start a whole thread for book chairs. 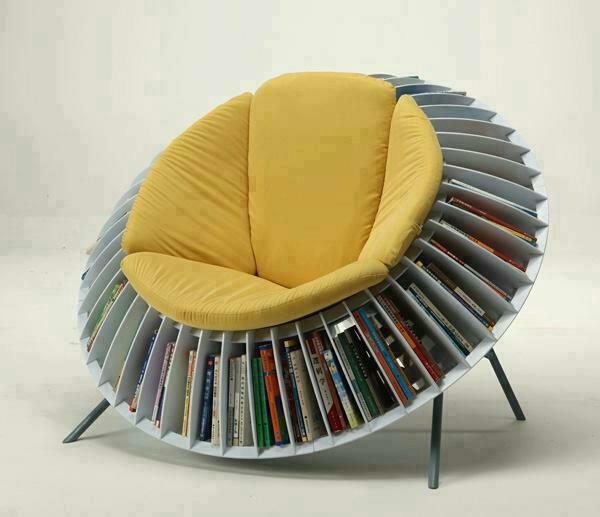 They delight me.This book chair was designed by He Mu and Zhang Qian’s and called the Sunflower Chair. It was part of the “Design for Sitting” Grand Prix competition and exhibition held in Guangzhou, China earlier this year. I’m going to start a whole thread for book chairs. They delight me. This book chair was designed by He Mu and Zhang Qian’s and called the Sunflower Chair. It was part of the “Design for Sitting” Grand Prix competition and exhibition held in Guangzhou, China earlier this year.